Do you want to go to Russia but you don’t want to spend hours on research? We will tell you what cities, museumes, restaurants, theatres and excursions are worth visiting. Even if you are not our student or you have never thought about going there but suddenly are interested please join. It’s free! 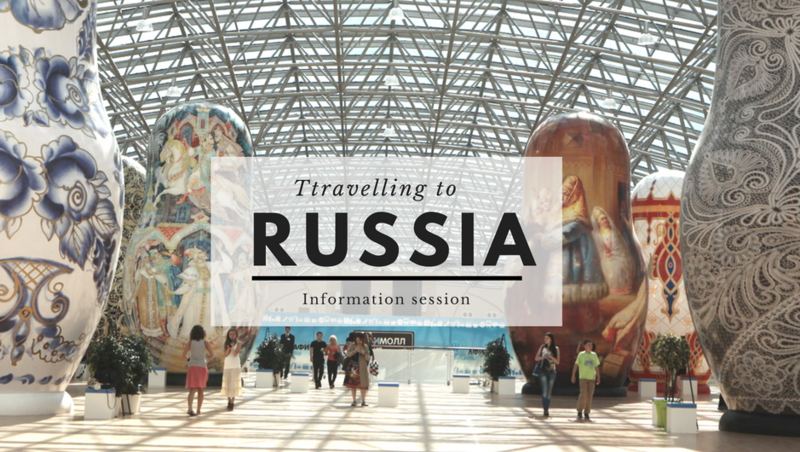 This information session is also for our students who are going to Russia with us in June 2017. We will discuss our itinerary, a list of things we want to do/see/buy/eat, air and train tickets, lessons, etc. If you think to join our group please come on 21 January at 2pm to talk to our teachers. We will have SPEAKERS: our students who travelled to Russia with us before – Kevin (Siberia, 2014) and Anna (Moscow&St.Petersburg, 2013). They will share their experience and answer your questions.